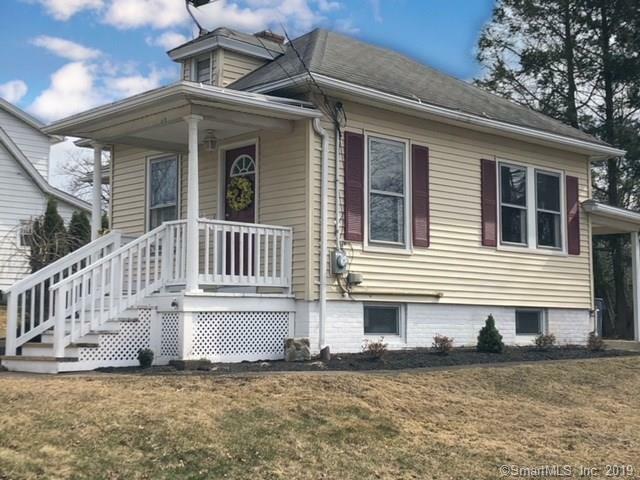 Move right into this Beautifully remodeled Charmer situated on a Spacious Lot in walking distance to the center of Wallingford!! 2-3 year Old Vinyl Siding and Windows!! Light and Bright Eatin kitchen with New Quartz Counter tops! Newer Gas Stove! Livingroom with New Flooring & Ceiling Fan! Updated half bath!! Master BR with Vaulted Ceilings with a sky light & Ceiling Fan, Brand New Carpet and its own Tiled Full Bath with Cathedral Ceilings, huge Whirlpool Tub and Separate Shower!! Walkup Attic! Full Basement with plenty of storage! Newer Gas Boiler 3-4 Years Old! This house is situated perfectly on this larger lot with plenty of room for expansion of the house or adding a garage!! This is a great alternative to a Condo!! A must see!! Directions: South Main St. To Green St.